At our Midtown Toronto Dental office we always strive to provide a warm and friendly atmosphere in all aspects of care. We are committed to providing you the best dental treatment in a caring and gentle manner. 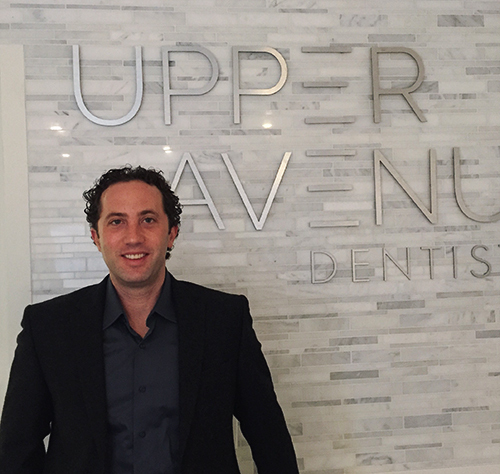 Located near Lawrence and Avenue Road in Toronto, Upper Avenue Dentistry takes a patient-centered approach that allows us to diagnose your current status and provide you with the best treatment alternatives and costs so that you can decide which treatment is best for you. We strive to offer the best preventive, restorative, and cosmetic dentistry to help you achieve the smile you want and maximize your personal health. We are committed to the environment and offer eco-friendly recyclable hygiene bags and tools. We are committed to the ALARA (As Low as Reasonably Achievable) principle and are proud to use only digital radiography, which greatly reduces radiation exposure while providing better diagnostic ability when compared to traditional films. You can breathe easy at Upper Avenue Dentistry. We use a surgically clean air purifier to ensure the air in our office is pure, fresh and odour-free. The health and comfort of our patients is our top priority.